My husband says he can see my brain thinking as I work on a project. I'm particularly focused and driven at the beginning of a new work, when a whirlwind of ideas and possibilities in my head are funneled into that first action of a paintbrush or weaving stick. 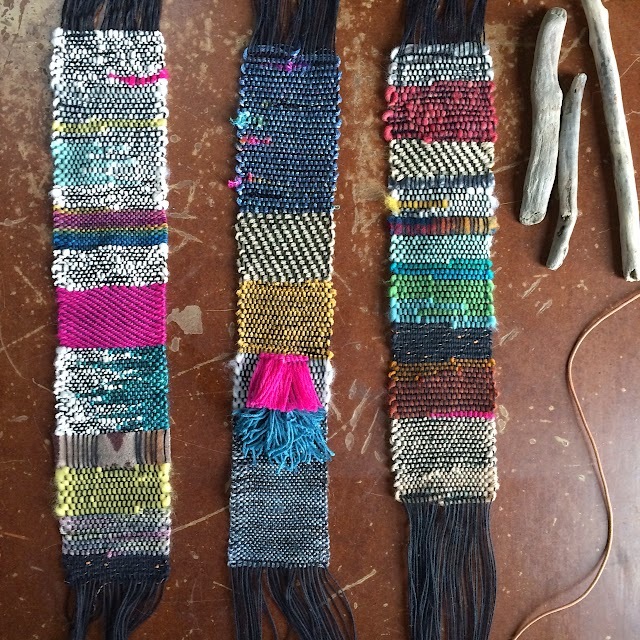 And, since I normally start a weaving or painting without a sketch or even a finished idea in mind, I'm constantly configuring and problem-solving in the moment. My first and only preliminary sketch of a woven wall hanging. 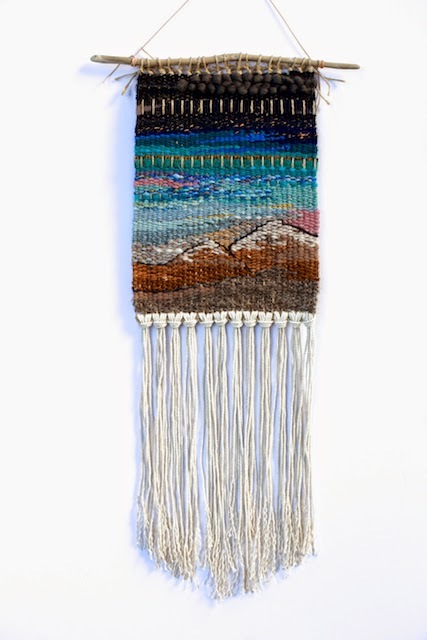 Topaz, 4' woven wall hanging, 2014. Many fiber artists use a cartoon when weaving. A cartoon is a full scale visual guide for the weaver. I recently used a cartoon for the first time when making Pacific Peak (top, middle). The weaving was based on one of my paintings of Mt. Hood. My weaving process usually begins with me rummaging through my stockpile of yarn remnants, wool roving, and Pendleton blanket scraps. 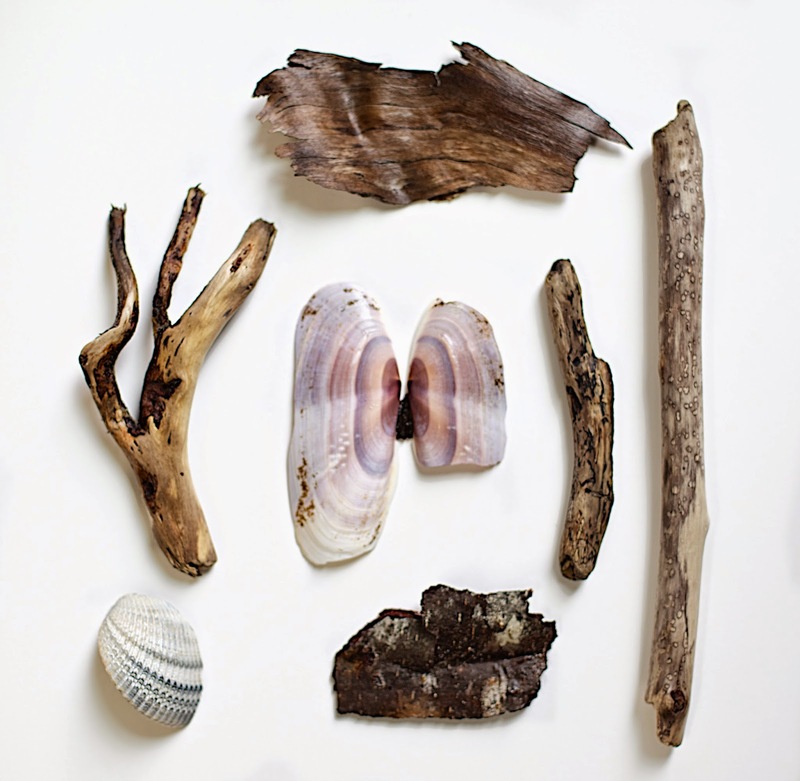 I try to gather materials that are cohesive in color and diverse in texture. 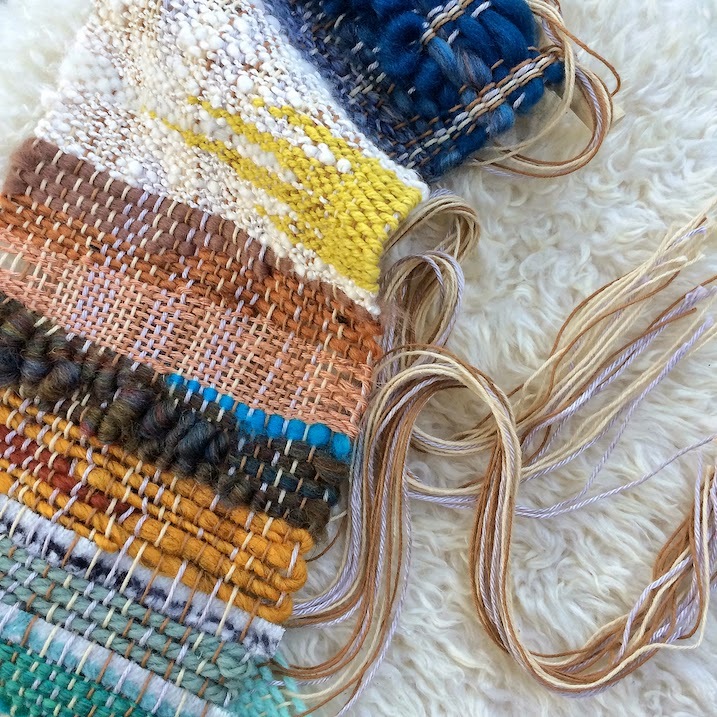 I like to keep the weaving process very fluid and intuitive, but this has its challenges. Halfway through the project, I have to put the weaving aside until I have a clear idea of how to finish the work. 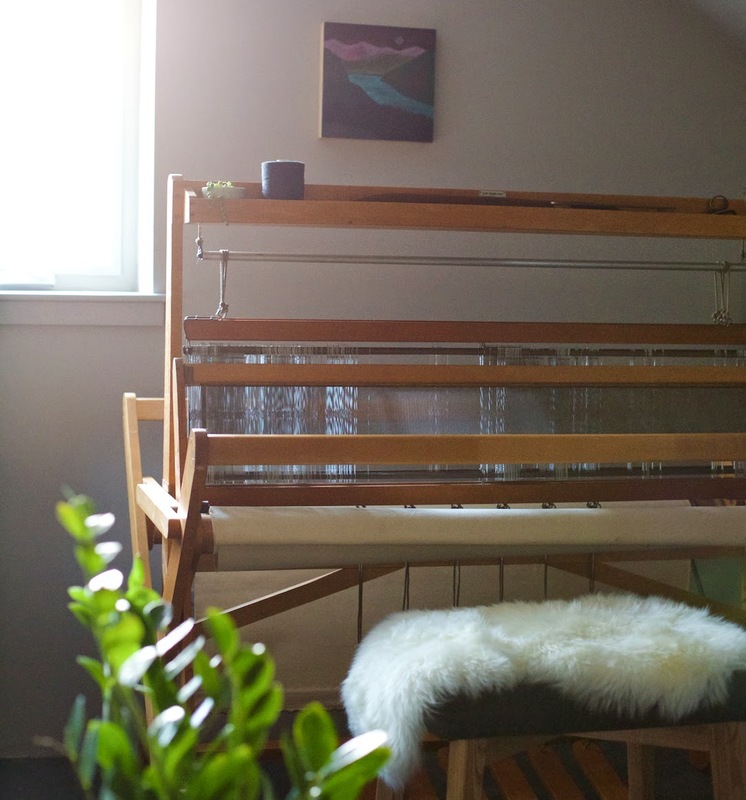 My focus in weaving has been wall hangings, but, for the last few months, I have been exploring functional weaving projects. 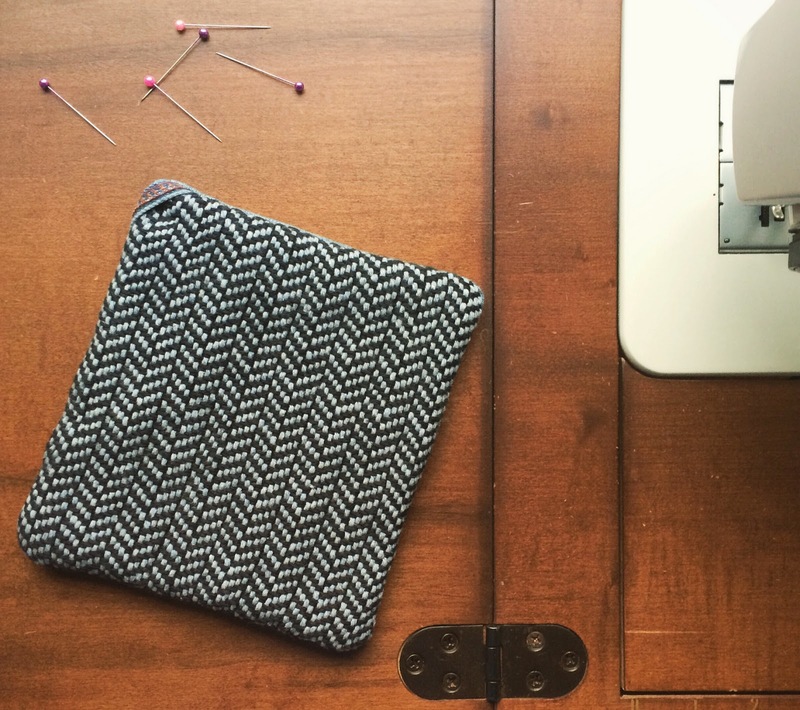 For Christmas, I made some herringbone potholders out of recycled cotton yarn and backed them with reclaimed denim. 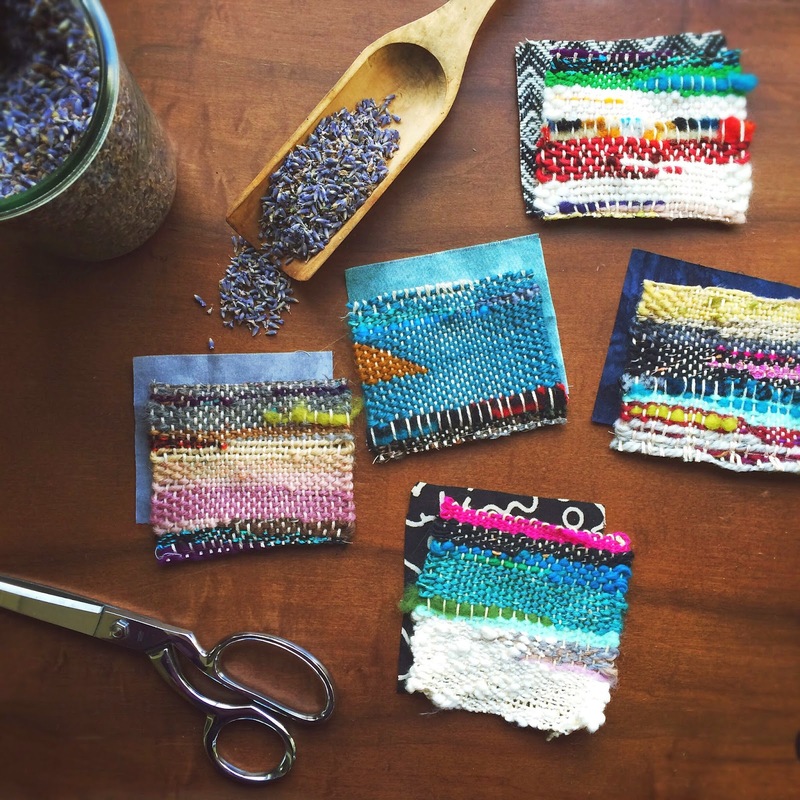 More recently, I cut up woven sample pieces and made sachets filled with lavender harvested from our garden. A lofty goal of mine is to make handwoven wearables for my wardrobe. But it has been awhile since I have sewn clothes for myself, and I didn't want to jump right into a big project, like a sweater. So I started with accessories- a square scarf and woven leather bracelets. When I bought the leather cord to make the bracelets, I also purchased gold and copper wire. As a mixed media artist, I naturally like to experiment with different materials. I decided to use the wire as warp for a wall hanging, Misty Morning (above). Since wire has no elasticity, it was a little tricky to work with. But, the gold wire adds a beautiful, subtle shimmer to the piece. 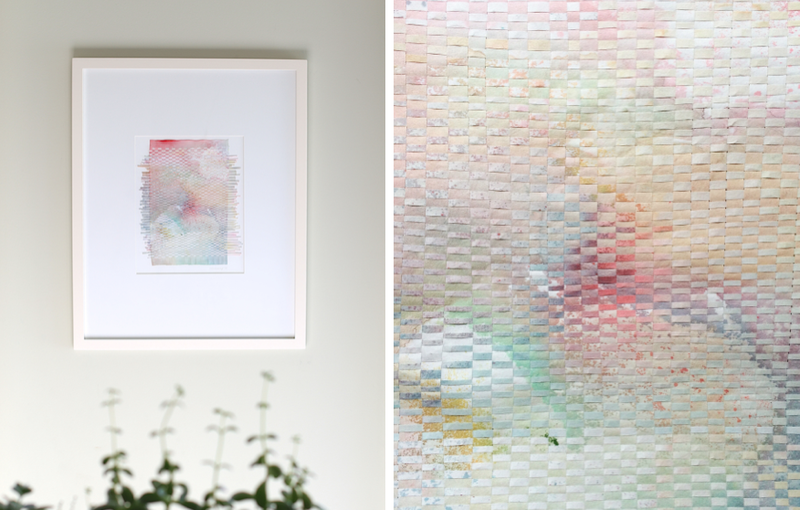 In December, I started working on my first paper weaving using handcolored paper. I cut tiny strips of paper and then wove the strips together by hand. It was a slow and tedious process, but I am so pleased with how the two works turned out. The paper weavings are now framed and available for purchase here. Round weavings are my latest creative venture! Like most of my wall hangings, these designs evolve during the weaving process. They kinda look like sea anemones, don't you think? It's been fun experimenting with new designs and materials these past few months, and I have so many more ideas I want to explore. I look forward to sharing these projects with you. And as a huge thank you for being a loyal reader, here's a 20% off discount code that is good thru Friday, Feb. 27th: INSPIRE. 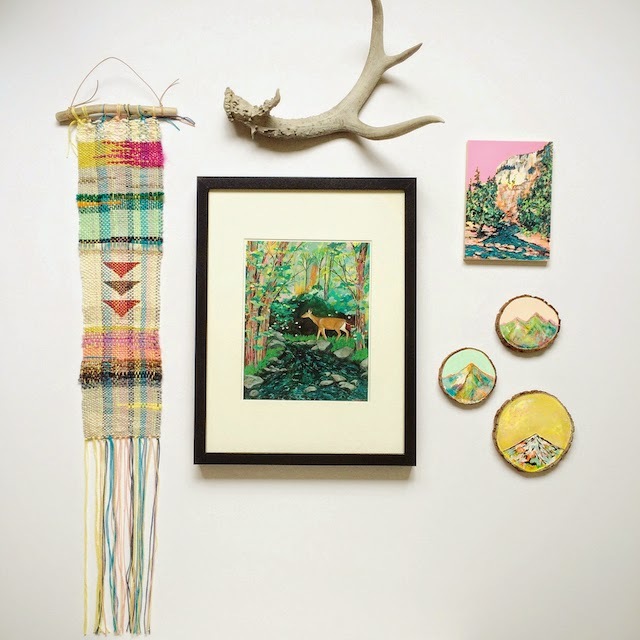 To shop my original weavings and paintings, go here. For art prints and small art, check out my Etsy shop. 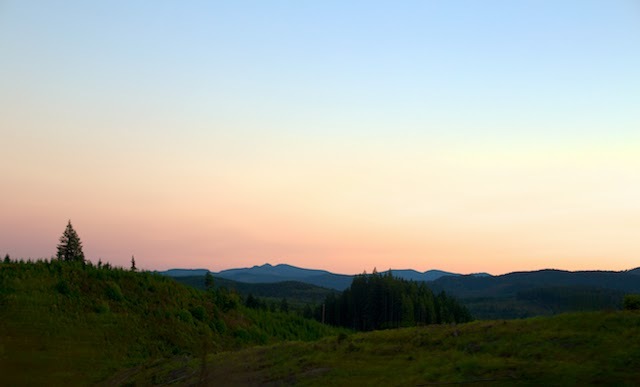 Some of you may remember that this summer I headed to Vermont for a live art installation at Wanderlust Festival. 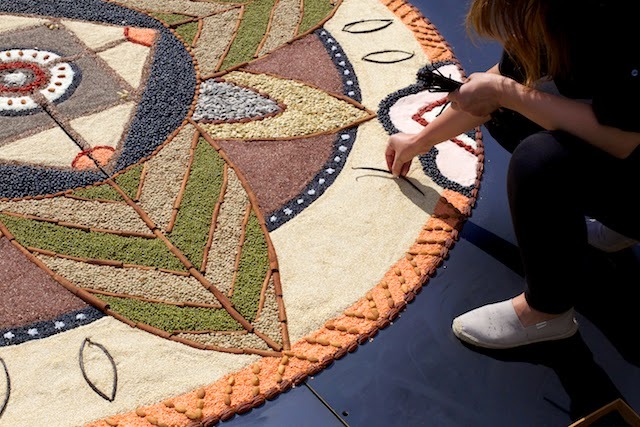 During the four days of the yoga festival, I worked on a 14 ft. mandala piece using only seeds, dried fruit, beans, grains, and other natural food ingredients. 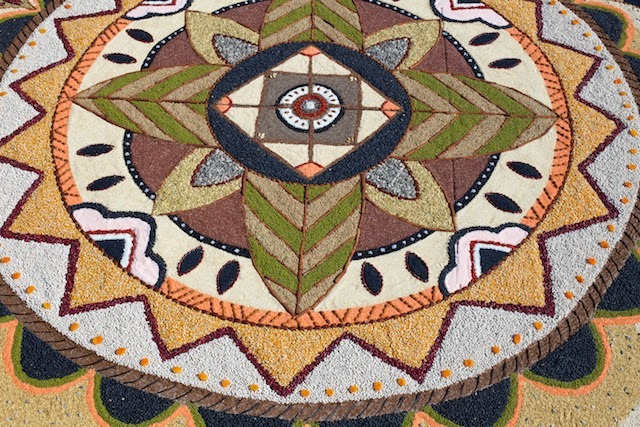 The mandala depicted the different stages and elements of a seed's life: roots, sprouts, rain, sun, and flowers. In the photo above, I was forming organic vanilla bean into raindrops. The mandala was smelling so good! 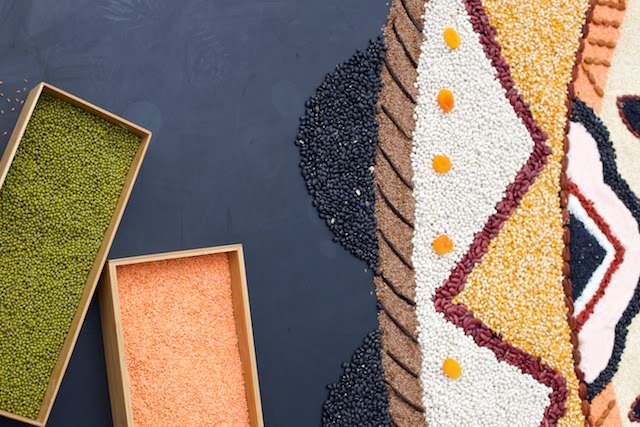 The installment was part of the Kashi booth at Wanderlust, and the work was captured on film by a New York crew. For the last couple of hours I thought it'd be fun to get the community involved. So a number of folks jumped in to help finish the mandala piece, including a few children who had been watching the process from the start. 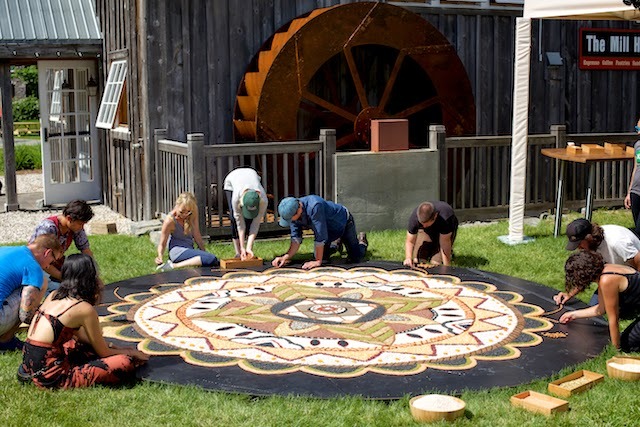 After snapping pictures of the finished work, the mandala was dismantled. The ingredients were then given to a local farmer to use as feed for his animals. 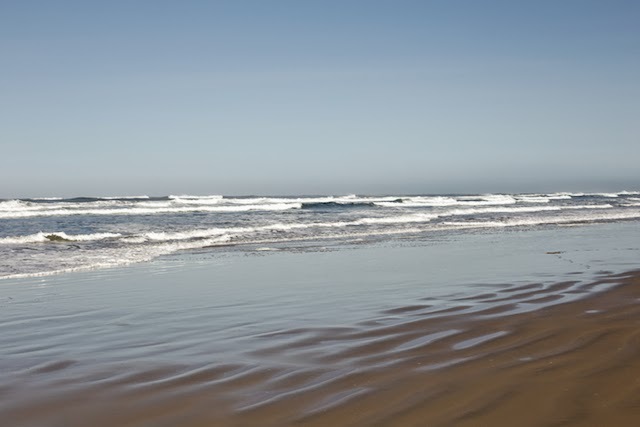 God speaks to me through the roar of an ocean and the wind's whisper in a forest. It's a message that rings true in my heart and mind. Know that I am God. As I stand at the edge of the land and sea, I find comfort in His never changing ways. With every crashing wave, He declares His authority- and it's good and merciful. This is the message that I've known all my life. I cling to its power and truth when I feel the world's darkness and grief surround me. 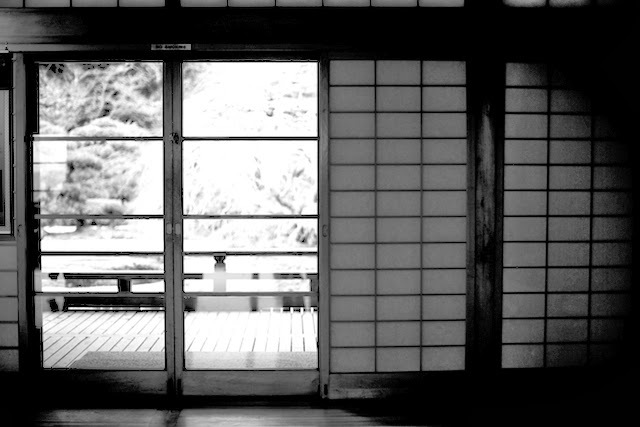 As a pastor's wife, I am constantly encountering stories of heartbreak and suffering. Abusive relationships, neglected children, addictions, cronic illnesses, and more. It's a side of my life that's never shared on the blog, yet it's such a significant part of my life. Life is messy, and through my faith and art, I try to find clarity, order, and hope. Often times it's the simple things in life, like watching a sunset, that reminds us of our Maker and His faithfulness to us. 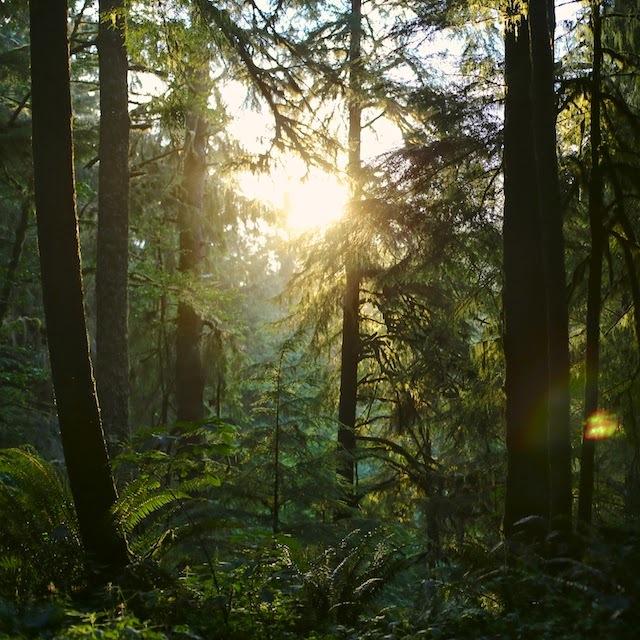 Summer is nearly here, and you can feel the excitement in the Portland air. Folks are showing off their dazzling white legs, and there's talk of backyard barbeques, festivals, and adventure trips in the Pacific Northwest. 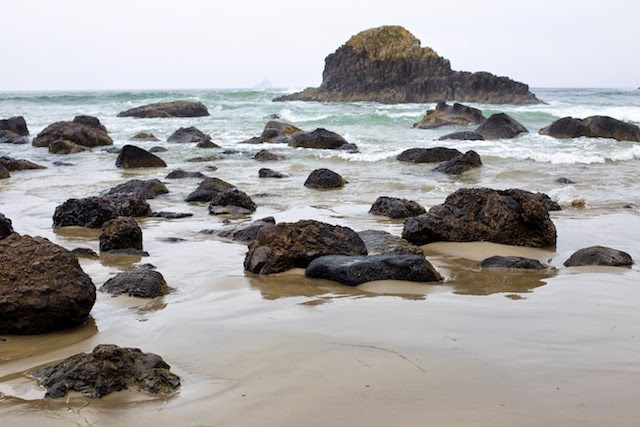 Now that the kids are out of school, I look forward to day trips to the coast and mountains. 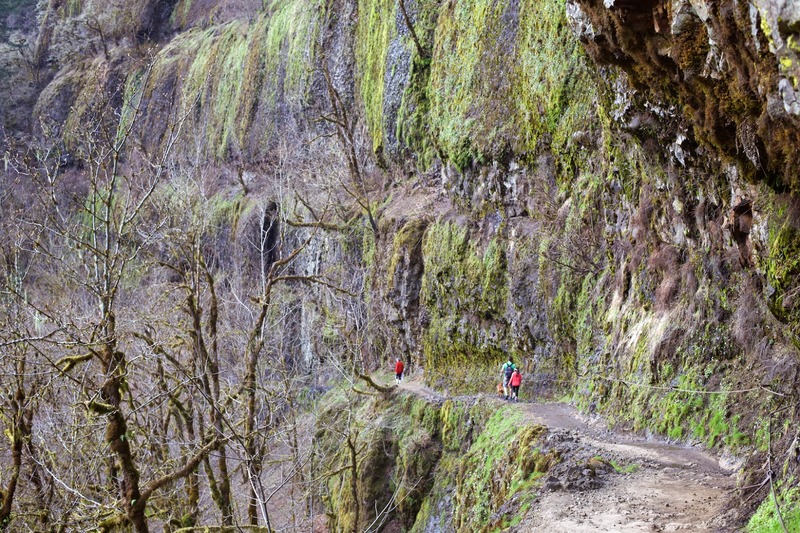 A couple of months ago, we hiked the Eagle Creek Trail in the gorge. The water was a little too chilly for wading, but, come July, I'll be ready for some creek walking! My summer schedule is quickly filling up with family and work-related activities. 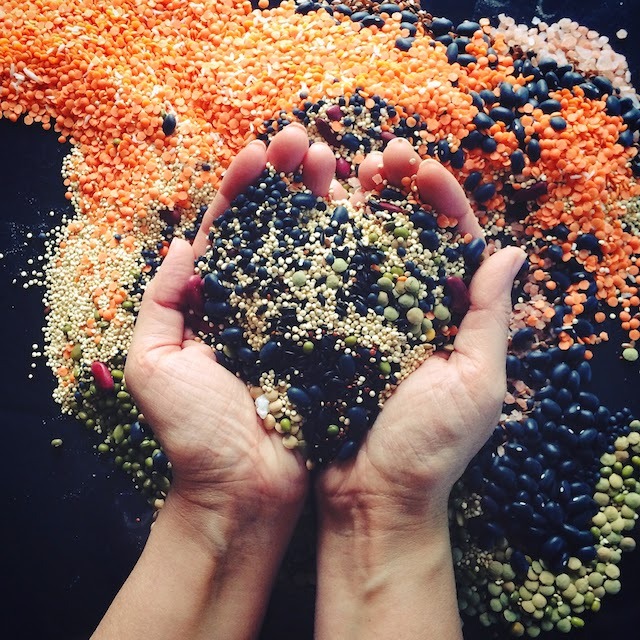 Next week, I'm headed to Vermont for an art installation using food! 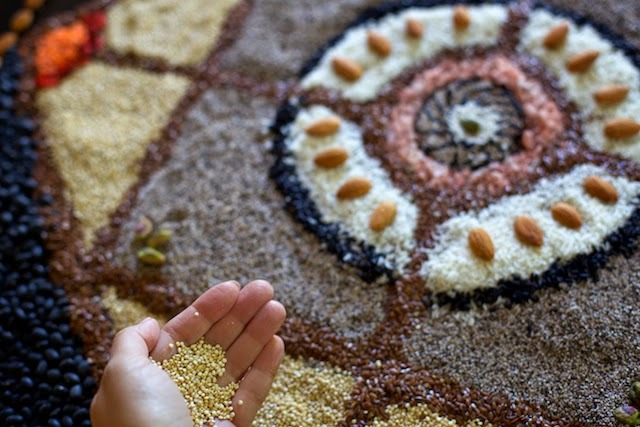 During the Wanderlust Festival at Stratton Mountain, I'll be creating a 15 ft. mandala for Kashi using only natural food ingredients, like seeds, grains, beans, and nuts. I love to cook, but this is the first time I've used food to create large scale art. It's been fun playing around with the different ingredients on our dining room table, and the vanilla bean, coconut, and cinnamon sticks make the room smell so good! If you want to follow the the progress of my mandala art at Wanderlust Festival, I'll be posting pictures on Instagram. Lately, I've also been busy creating new work for my online shops. 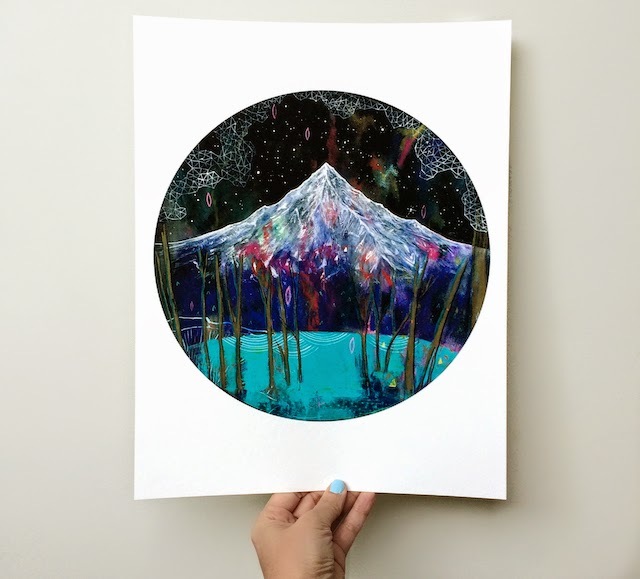 Phenomenon is my newest art print, and it's available in two sizes. I've been wanting to mesh my mountain painting and weaving worlds for a while now, and Azure Mountain is the result of that coming together. 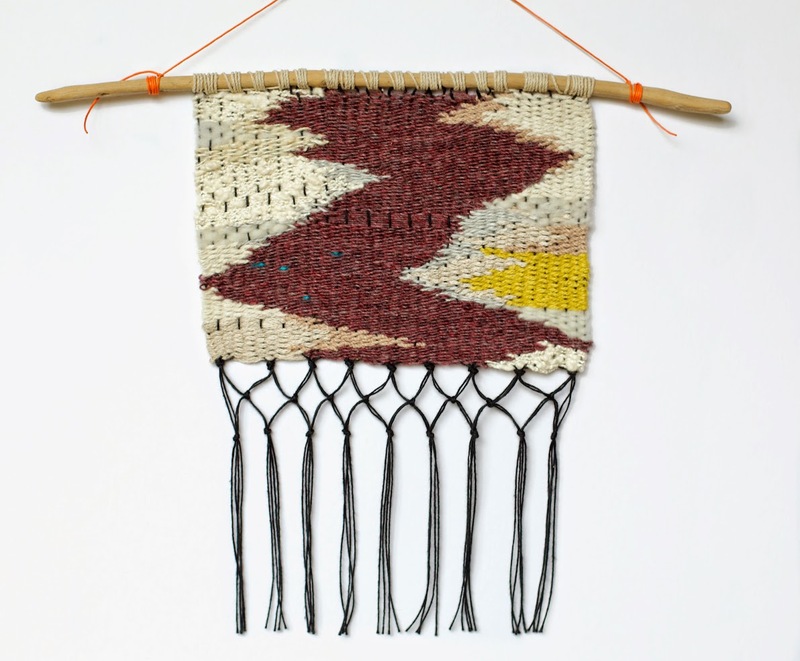 Created on a lap loom without a drawing, the weaving process was slow-going. But I enjoyed "painting" with yarn and seeing the piece evolve. 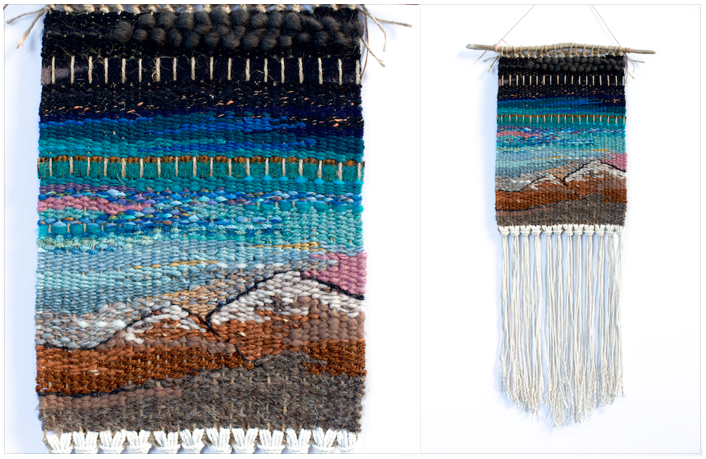 Azure Mountain is currently available in my big cartel shop, as well as the weavings below. This weekend, I'm running a free shipping promotion. Use code HELLOSUMMER, and receive free shipping on your order. 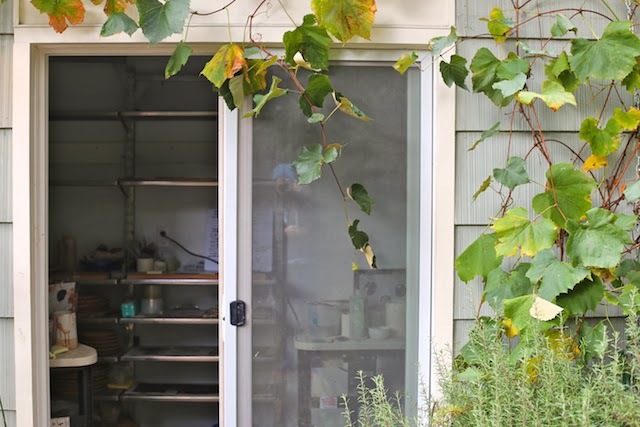 Home studio of ceramic artist Shelley Martin, Vitrified Studio. 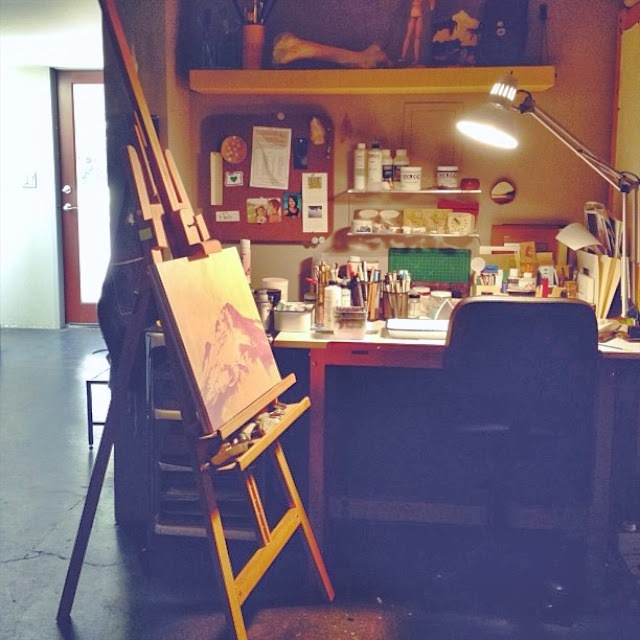 I love seeing the work spaces of artists, particularly those who work from home like myself. 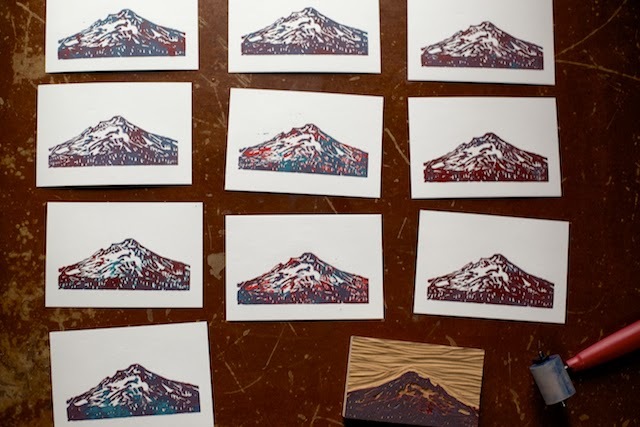 Last Fall, I visited a few artist studios in town as part of Portland Open Studios. 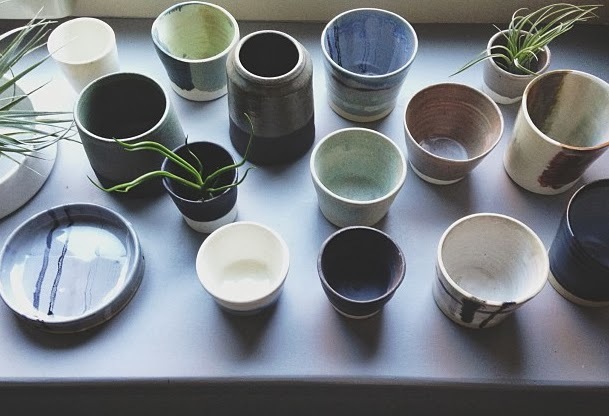 My first stop was the studio of ceramist Shelley Martin of Vitrified Studio. Shelley's work space is a converted garage. One section houses the kiln, and the other, her pottery wheels. For the studio event, the garage was stocked with her current collection and sample pieces. As you can see from the photo below, I snatched some beautiful wares. My work space is in our renovated basement. I like that it's open, heated, and a short walk to work in the morning. I don't have to worry about parking fees, noisy studio neighbors, or even brushing my hair. In the last four years, I have slowly taken over most of the basement. 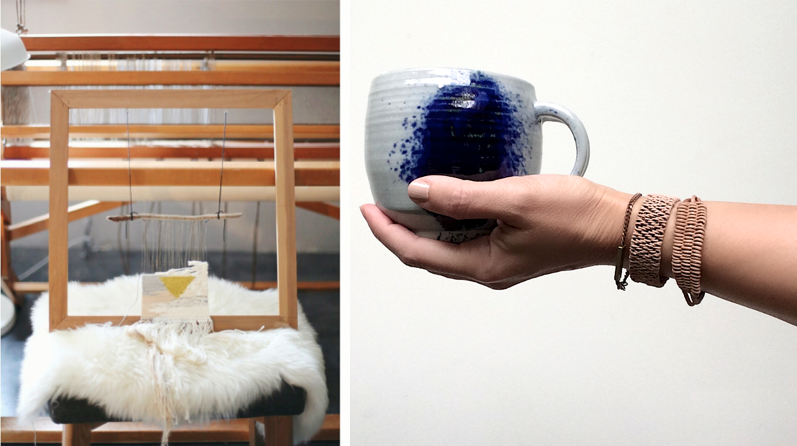 There are four different work stations- one for painting, packaging, printing, and weaving. And, with the purchase of a floor loom last month, I now have two weaving corners. The past six months have been some of my busiest, and I've realized that my creative business is outgrowing my creative space. I tend to spread out my stuff when I work, and I'm finding it increasingly more difficult to find sufficient table space and storage. There's also the issue of natural light. And, as a painter, working in a cave (i.e. basement) is less than ideal. 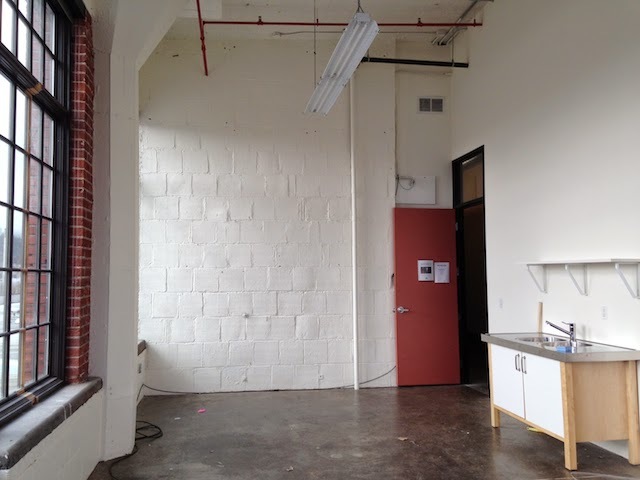 So, for the past few months, I have been casually looking for a new studio space. I do love the character of converted warehouse spaces (especially with a view of downtown Portland!). But, the monthly lease is often times equal to a mortgage payment! After touring a few spaces around town, I'm now leaning towards building a studio in our backyard. As we meet with a team of folks over the next few weeks to discuss this possibility, I'm getting very excited about the idea of designing my own studio space. But, I'm trying not to get ahead of myself. Until then, I've been rearranging my current space to better serve my needs. I've added a bit more storage, which you can never have enough of as an artist. 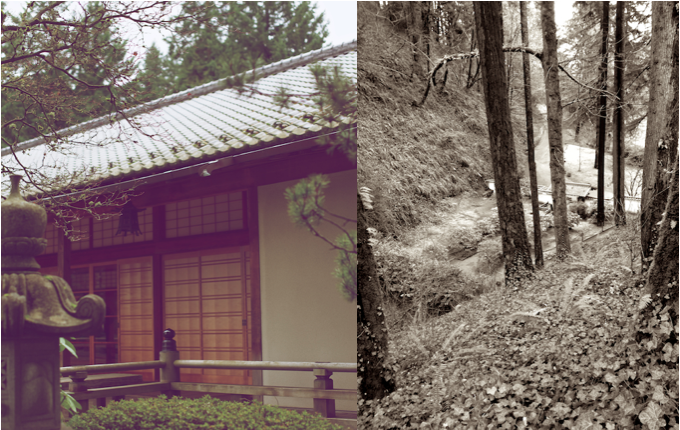 For me, my physical surroundings has a pretty big impact on my creative rhythm and production. So having an organized studio space creates a more positive work environment. 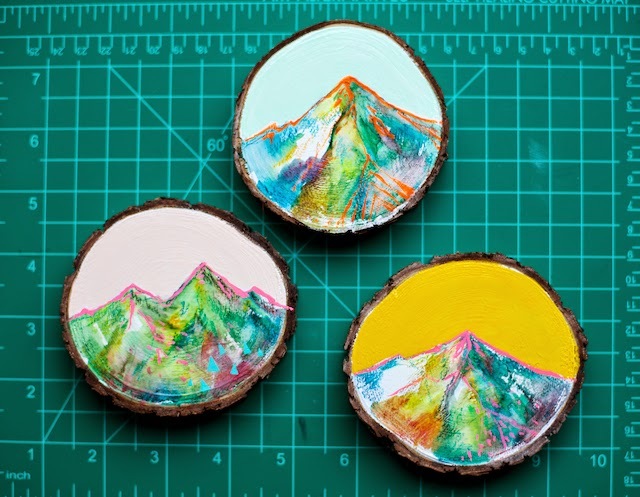 The past few weeks, I have also been quite busy adding new items to my Etsy shop, including more mini mountain paintings on cedar and larger eco-friendly prints. Through tomorrow, I'm running a special promotion on the new prints. For details, visit my Etsy shop here. It's so satisfying to finish a project, especially one that has taken nearly two years! 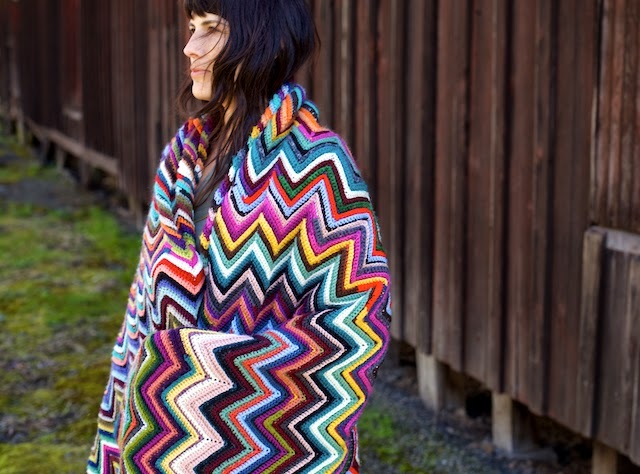 I started crocheting this zigzag blanket to use up my nice yarn remnants. I must be horrible at estimating yardage because I ran out of yarn early on in the process. 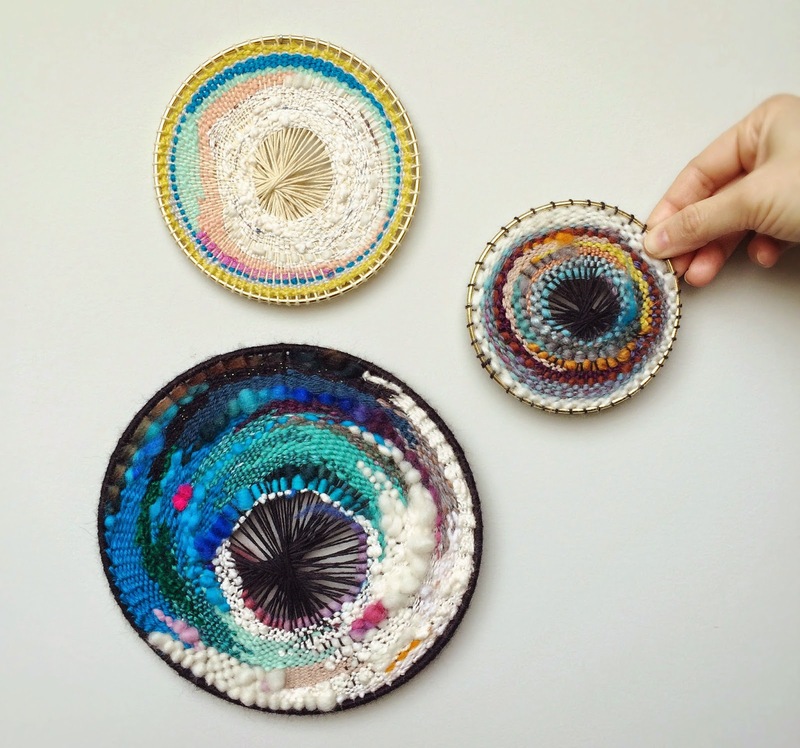 So, some of you may remember that I swapped art for yarn on my blog awhile back. I wanted to primarily use remnants or reclaimed yarn for this blanket, but I eventually had to purchase new yarn ($$!). Although this project took much longer than expected, I am thrilled with how it turned out. It's actually quite dense, and the family has already put it to good use on some of the chilly nights we've had in Portland. My husband was in Rwanda for the first part of March. 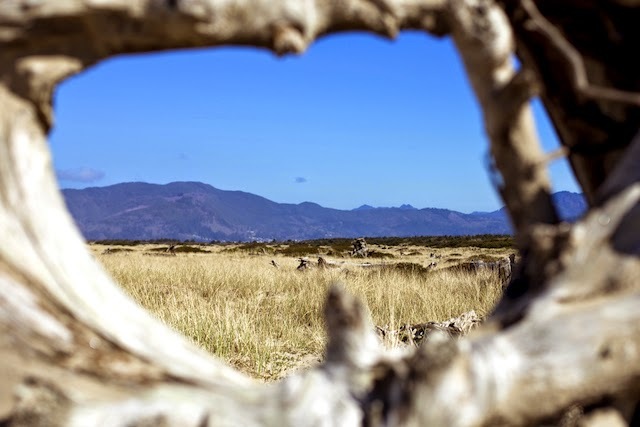 When he returned home, we broke away from city life for a day and headed to a remote spot on the Oregon coast. We had the beach to ourselves, and it felt like time stood still as we leisurely looked for beautiful shells and driftwood in the sand. 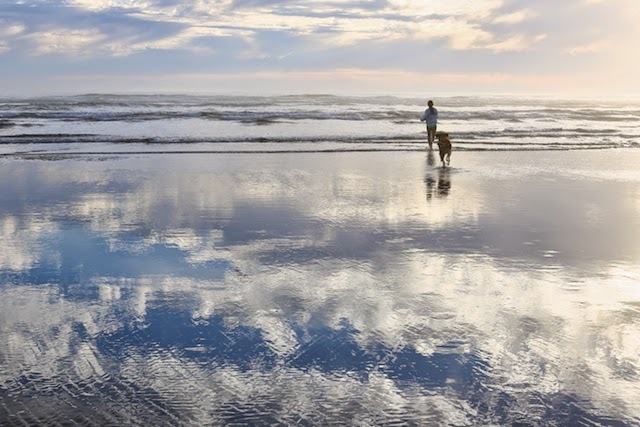 The weather at the Oregon coast can be hit or miss, but there wasn't a cloud in the sky! And when your husband's away, that's a good time to make big purchases! 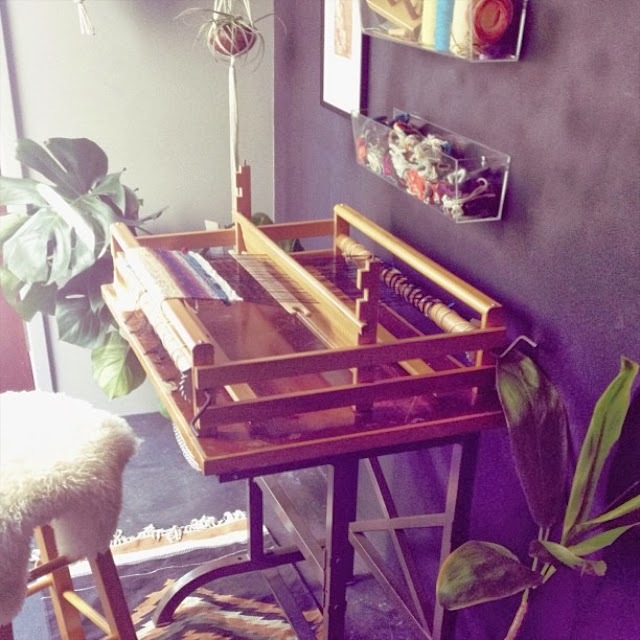 I bought this vintage Allen floor loom on craigslist while my husband was in an airplane and unreachable. . . um, it's not like I planned it this way (wink, wink). I did do a bit of research beforehand and talked with an expert at a weaving studio in town. These folding looms were made in the 40's and 50's, just miles from my house. Although it had three owners (mother to daughter to friend), apparently this particular loom had only been used once! 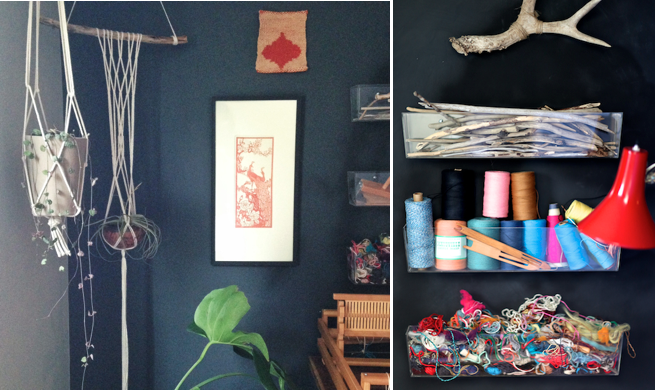 My sweet husband helped me set up the loom within hours of getting back from Africa. I was inspired to create this piece after finding a vintage spool of purple yarn at an antique store in rural Oregon. 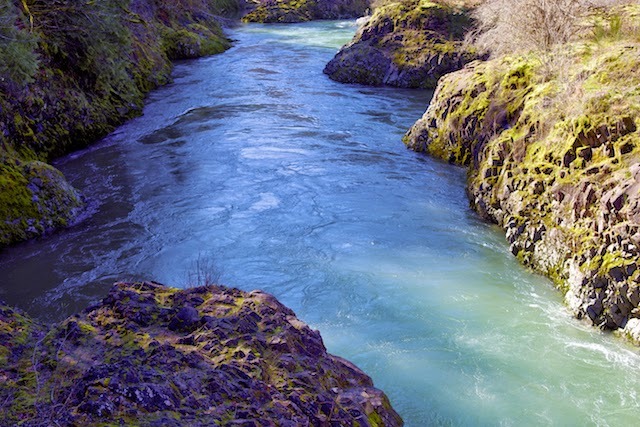 If you look closely, there are four turquoise dots in the creek design. 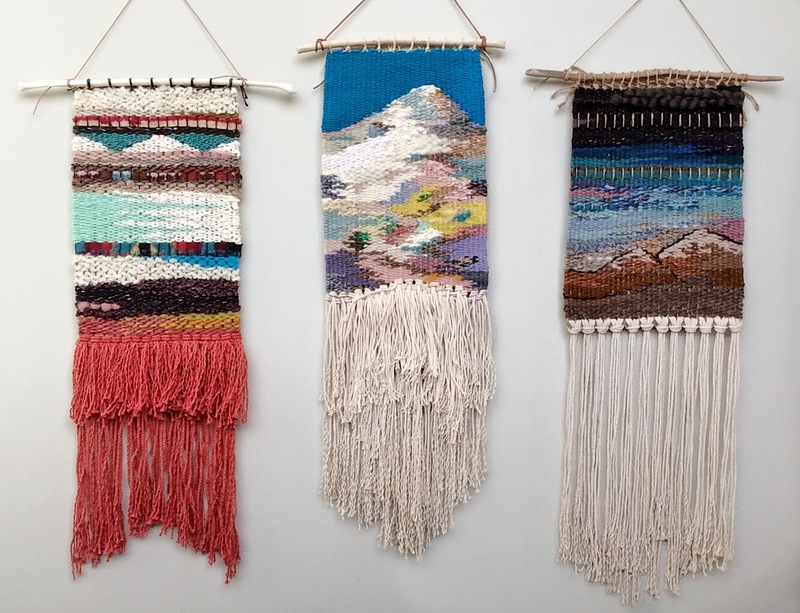 For additional information about the weavings shown above, click here. my art now at Urban Outfitters! 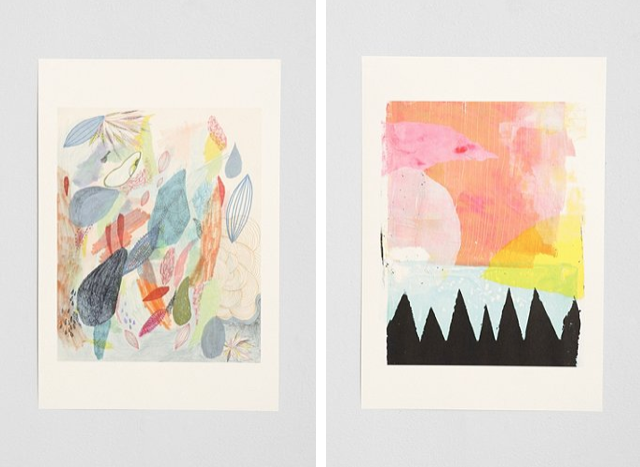 In the summer of 2013, I was excited to receive an email from Urban Outfitters expressing their interest in my art. I had never licensed my art before, so, naturally, I had lots of questions about the whole process. From the get-go, the company was very receptive to my questions and requests, including those involving the manufacturing of my art. 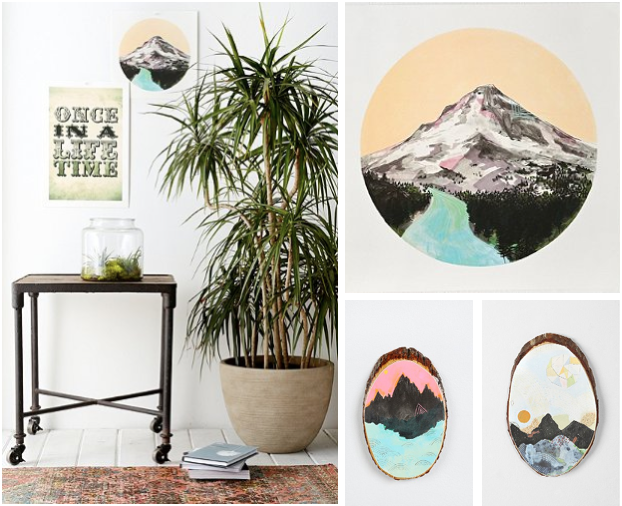 After working closely with Urban Outfitters for several months, I am thrilled to announce that my art is now available in their stores! There are three pieces in the collection, and all the items are made domestically. 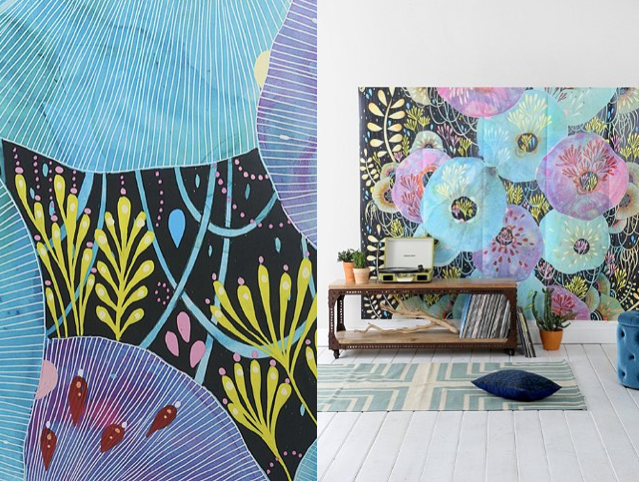 Exclusive to Urban Outfitters are the two works on wood slab- Journey and Cascade. 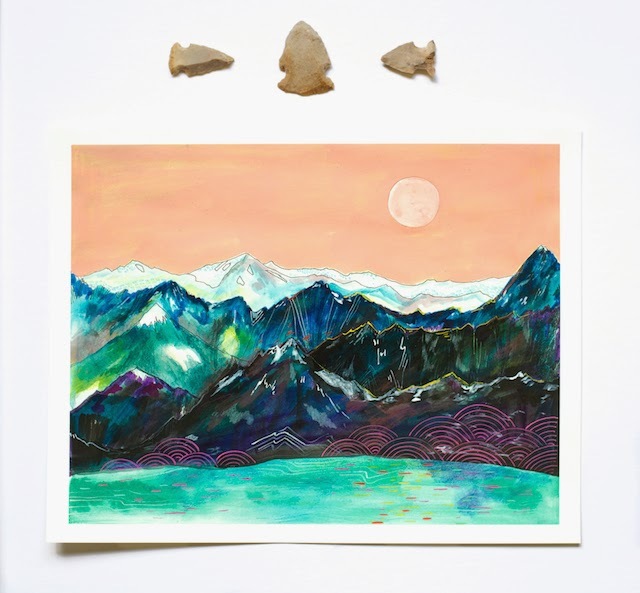 Mountain, which is a 13" x 13" print, is printed on archival paper with archival inks. 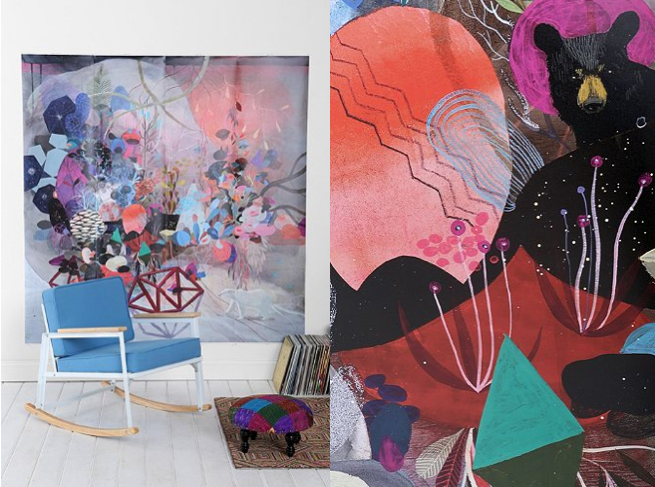 Portland artist Ashley Goldberg has been working with Urban Outfitters since 2008. 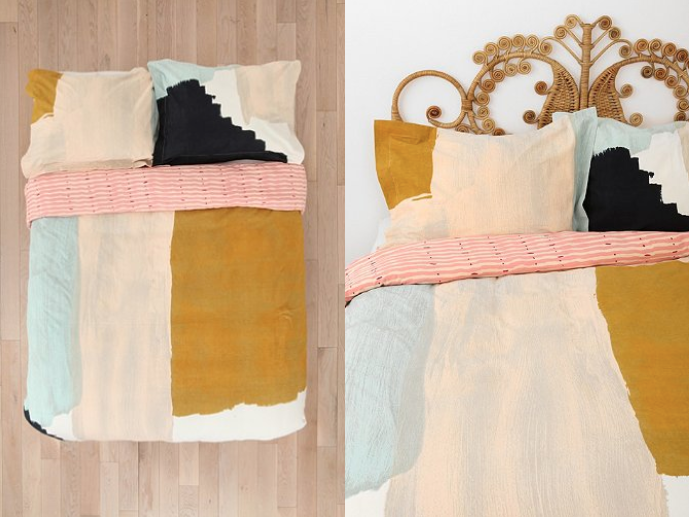 Along with her beautiful wall art, she has her own bedding collection! A fun little fact: my vintage mini loom belonged to Ashley G.
I love the large brushstroke blocks on the duvet cover. Ashley's complete Char-Bea home collection can be found here. If you are curious to learn more about art licensing, Ashley wrote a great article last September for Etsy titled "How to Strike a Successful Licensing Deal." President's Day was this week, and two things came to mind. 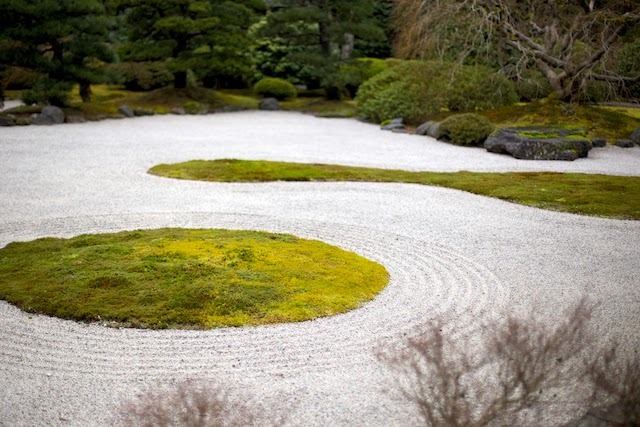 I need to prune my roses and it's free admission day at the Portland Japanese Garden. Seeing that it was a damp and drizzly day, I chose the latter. 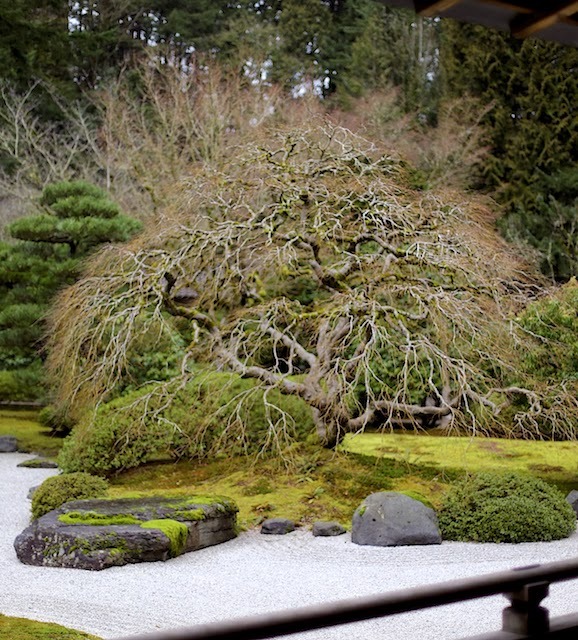 I first wrote about this enchanting place last year in this blog post. 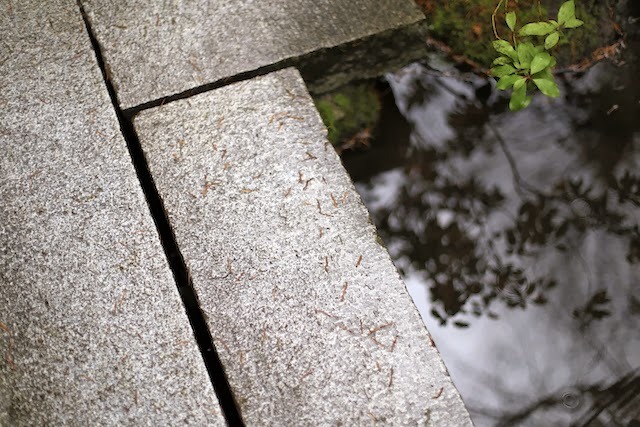 I have been meaning to visit in the springtime when the plants and trees are in bloom. Rhododendrens and azaleas especially thrive in this wet environment, and I love the vibrancy of their flowers. 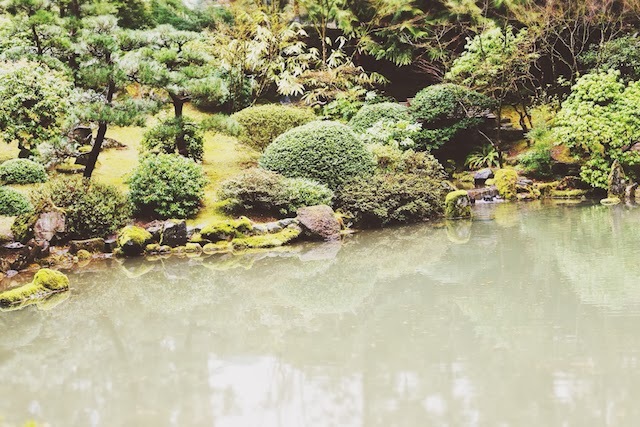 Strolling through the garden is such a peaceful experience. 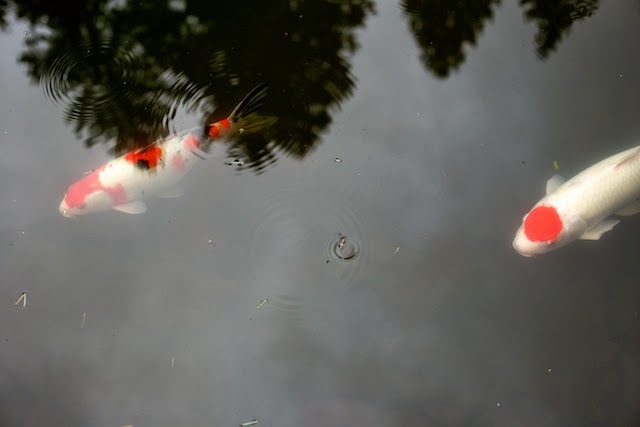 And I am reminded how beauty is often in the simplest of things. 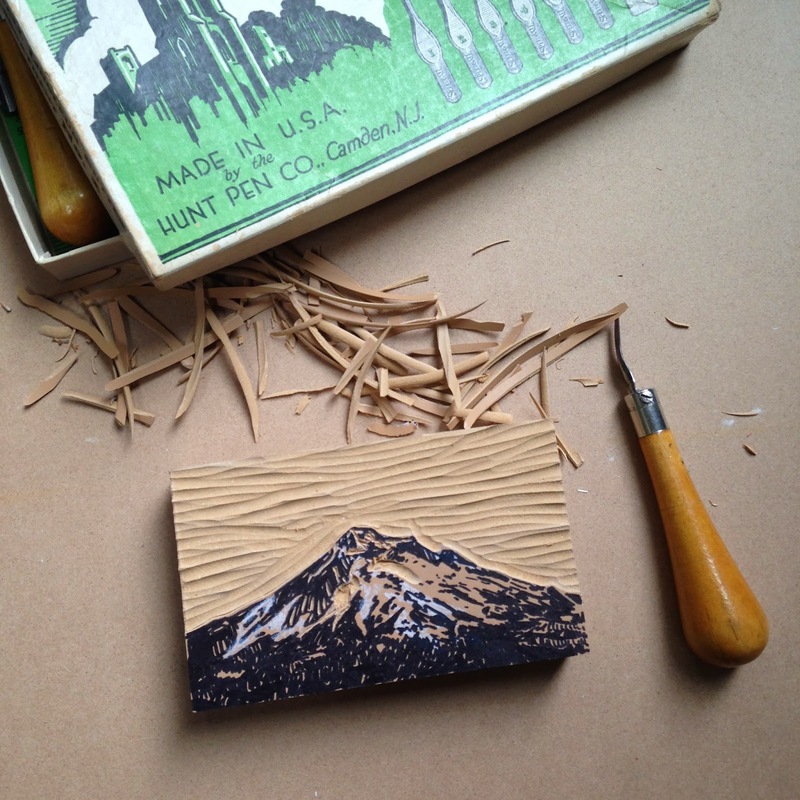 This week, I worked on a small linocut of Mt Hood. It was nice to leisurely work on a project without the worries of deadlines or expectations. I haven't decided what I'm going to do with the prints yet. I could leave them as they are or add details to the sky. What do you think? Artist, mom, native Portlander, half-Korean, nature lover, food snob, and preacher's wife. That about sums it up. © 2009 - 2014 Cathy McMurray. All rights reserved.